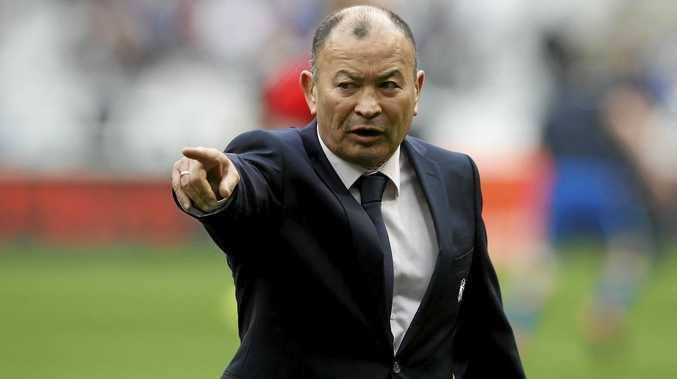 TAKING the positives from a defeat is the standard post-match mantra of the modern sporting coach, but Eddie Jones was surely stretching credulity when he vowed England would be better for their worst Six Nations performance in 35 years. Ireland's 24-15 victory over England on Saturday secured the grand slam, but the statistics of the defending champions - who came into the tournament clearly ranked second in the world behind New Zealand - take some comprehending. Victories for Scotland and Wales meant England finished outright fifth in the standings, its worst performance since 1983. It was also England's first home defeat under Jones, its first in the Six Nations at Twickenham since 2012 and the first time it had lost three in a row in the championship for 12 years. "In these three games we've learned about ourselves, about the team, about how we go about our game, and it's part of the process of being a better team,” Jones told reporters. "You guys only see the external. When you take over a team like England there are things you can fix quickly but internal mechanisms, such as developing leaders, are slow burners, so for us it's been an enormously beneficial, if disappointing, tournament. It certainly was for most of the 82,000 at Twickenham. They have got used to victories under Jones - in 24 of his first 25 games in charge. The ledger now reads 24 from 28 and things are not about to get any easier. England's next five games are a three-match series in South Africa in June followed by Twickenham dates with the Springboks and New Zealand.